Tara Sparano, whose 12-year-old daughter was allegedly assaulted by a 21-year-old Florida man she met online, said a friend also tried to notify school counselors that the two were planning to meet. Parents of a Collingswood girl who was lured into meeting a man she met online said their relationship developed via a school-issued computer, and against their knowledge. They also claim that their daughter’s friend told a school counselor about that relationship at least two days before 21-year-old Liam Heim of Gulfport, Florida traveled to meet her. Tara Sparano said the family had been concerned about her child’s Internet usage well before the incident, and had cut off her web access at home. She said the girl, 12, did not have access to the Internet other than through school-issued devices. Sparano said she repeatedly asked the district for the activity history of her daughter’s Google Chromebook, and that the request was deferred to its technology department. She said she also asked the school to block websites unrelated to her daughter’s classwork, but didn’t receive a response. Sparano said her daughter chatted with Heim, either on her Chromebook or in the school library, via Discord, a communication platform frequented by gamers. Public chat logs seem to show how a Florida man conspired to keep his conversations with a 12-year-old Collingswood girl secret from her parents. Credit: NJPEN. 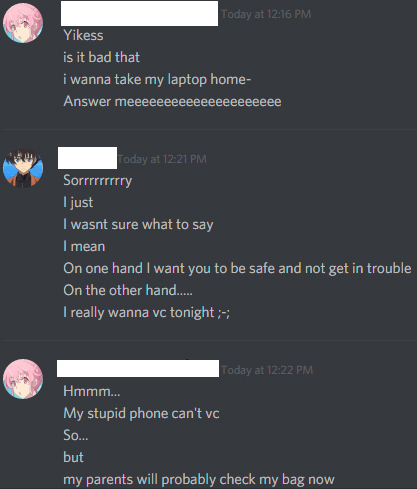 Chat logs captured by members of the public group in which the two met seem to show Heim encouraging the girl to keep their interactions secret because they know her parents will check her bag for the computer. “She was hiding from us, chatting with him on that computer, without us knowing because we thought the school had the computer,” Sparano said. Prior to the incident, Sparano said her daughter had already been in the care of private therapists, and that concerns about her computer use were known to them as well. Nonetheless, they “just could not figure out what was going on. “Her behaviors were different, and she became almost obsessed with getting on that computer,” Sparano said. “She had stopped eating, and was not speaking to us at all. She was hiding in bathrooms or in the attic. She became very distant from us, and like a whole different child. “He had turned her against our family,” Sparano said. Sparano also believes that notification from the school guidance counselor might have prevented her daughter from being lured. 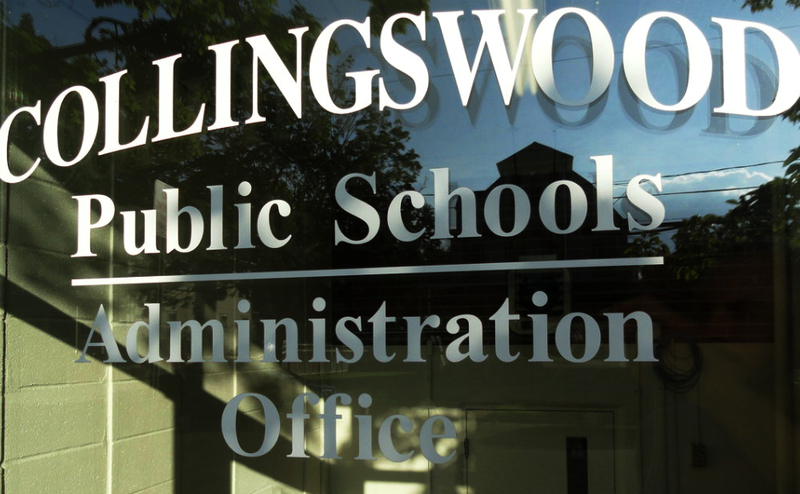 She said a friend of her daughter showed screenshots of their Discord chats to a school counselor at least two days before Heim came to Collingswood—a claim that could not be immediately verified, as the district is on a weeklong break. 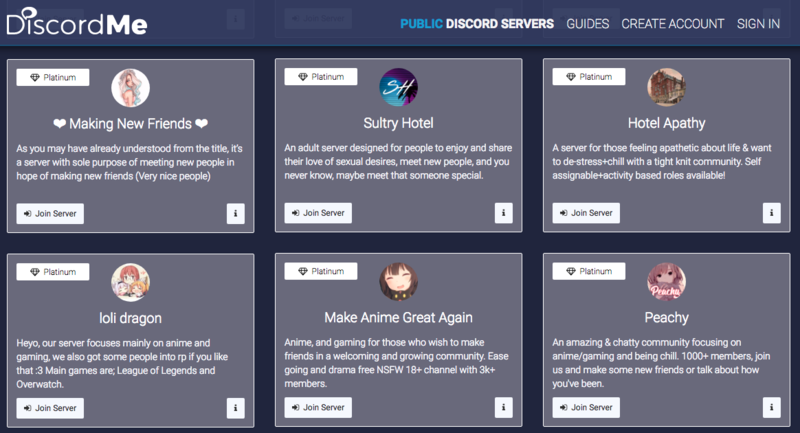 A screenshot of various public chatrooms available on Discord.me. Credit: Discord. 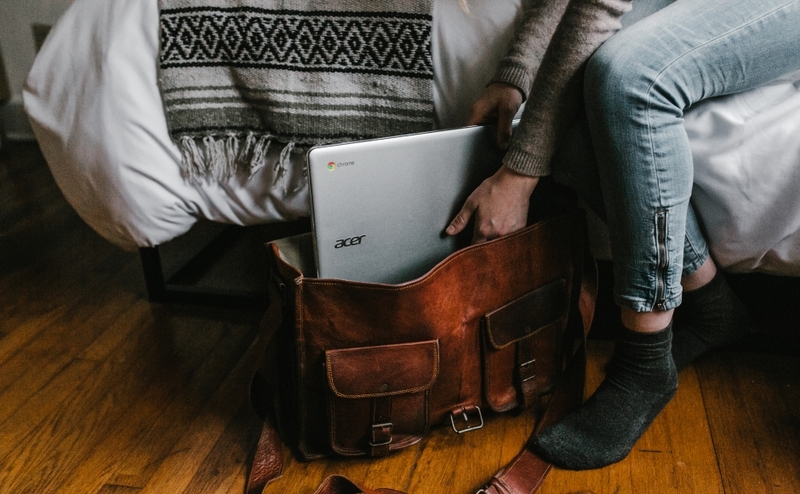 However, school policies also encourage students “to take their Chromebooks home every day after school, regardless of whether or not they are needed,” presumably to keep them charged for the next day’s use. The school suggests that any content filtering at home be coordinated through the family’s Internet Service Provider (ISP). 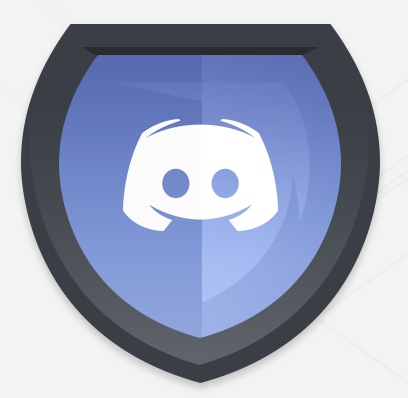 Discord is an online chat app for gamers that was allegedly how a 21-year-old Florida man connected with a 12-year-old from Collingswood. Credit: Discord. She also said she would like the district to revise its policies to more comprehensively limit student access to the Internet. “I’m tired of people assuming we let this happen,” Sparano said. Sparano said the family is grateful to all law enforcement involved in her daughter’s recovery, as well as to the members of her chat group who tried to disrupt Heim’s grooming of her. “It means the world to us, and you did everything you could to help,” she said. Heim faces federal charges for allegedly transporting a minor to engage in criminal sexual activity and interstate travel to engage in illicit sexual conduct, which carry penalties of 10 years to life in prison. Heim also was charged with first-degree kidnapping and third-degree endangering the welfare of a child, which could lead to anywhere from three to 30 years in New Jersey state prison. Sparano said her daughter will be homeschooled for the remainder of the year, and that the family has not settled on a choice for her continuing education. She asked that the community respect their privacy as they work to recover.